Don't be befuddled by the alphabet soup of acronyms, spec charts, and feature lists you'll encounter when shopping for a new TV. This guide series explains it all in plain language. Don't worry, we're here to help with no-hype, no-frills, plain-language (or as close as we can get) definitions of the terms and specs you'll encounter when you go shopping for your new TV. We'll also present some basic advice that will have you schooling your local big-box store pro in no time. Rather than present everything in alphabetical order in one long document, forcing you to resort to Ctrl-F to find what you're looking for, we've organized the terms into several segments, which we'll be rolling out over the next week or so. Terms describing the size, speed, and resolution of displays are created and thrown about in such an ad hoc fashion that it can be daunting to steer through the mess. That seemed like a great place to start, so allow us to clarify things for you in this first installment. 27-inch, 32-inch, 42-inch, 55-inch, and so on: The diagonal measurement of a TV display, i.e., the distance from the upper left corner of the active part of the display to the lower right. Class: A rounding term used for marketing purposes. For instance, when a display measures 42.5 inches, it’s marketed as 43-inch class. If it’s slightly larger, say 43.5 inches it will generally include the extra distance. Sometimes the display will be smaller than stated and the term "class" isn’t used at all. Read the fine print if you can find it. Mostly truth, all marketing. Since when does 3840 equal 4K? When the consumer electronics industry decides it's expedient for the purposes of marketing and advertising. 720p/720i: Resolution of 1280x720 pixels. This is also sometimes referred to as HD, Standard HD, or SHD. The “p” stands for progressive scanning (each row of pixels is drawn sequentially), and the “i” for interlaced scanning (odd-numbered rows of pixels are drawn first, and then the even-numbered rows are drawn). 1080p/i: Resolution of 1920x1080 pixels. Also known as Full HD or FHD. The “p” stands for progressive scanning, and the “i” for interlaced (explained above). 2160p: Resolution of 3840x2160 pixels. Another way of describing UHD, Note that true 4K resolution (4096 pixels) also has a 2160 vertical resolution. The “p” stands for progressive scanning (explained above). There are no interlaced UHD or 4K displays. QHD (Quad HD): A tweener resolution of 2560x1440 pixels (1440p), which has a 16:9 aspect ratio and is four times 720/Standard HD. It’s unlikely you’ll see this in TVs, which have moved on to Ultra (UHD), but it’s common in computer displays. Sometimes called WQHD, though we’ve also seen 21:9, 3440x1440 called WQHD which may also called UWQHD, or Ultra Wide Quad HD. Yes, there are entirely too many display resolution acronyms; even experts can get confused. 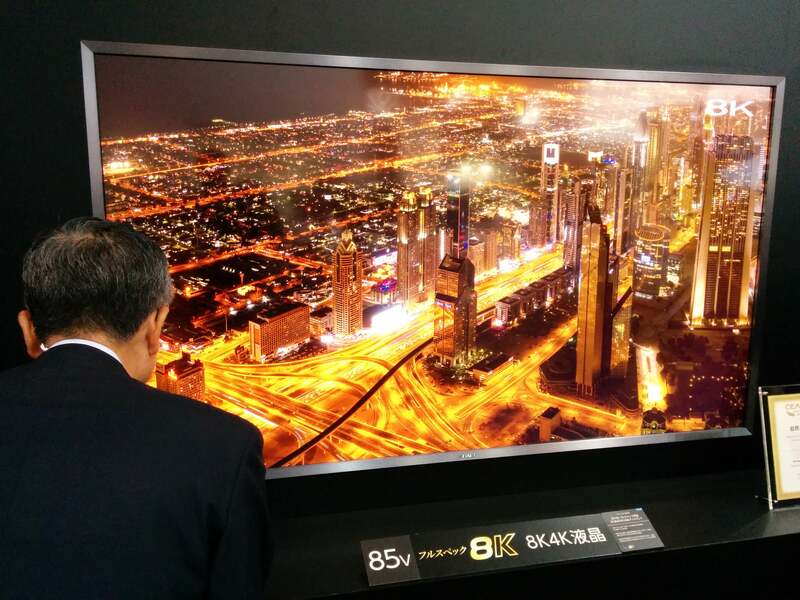 Sharp announced plans to sell the world's first "8K" TV, but only in Japan. Ultra HD (UHD): Resolution of 3840x2160 pixels; often misrepresented as, or wrongly conflated with 4K. It’s exactly twice the resolution of the 1920x1080 full high definition that’s been the standard for the last few years. The mix-up, encouraged by TV manufacturers, is apparently because the number of pixels has quadrupled from Full HD. That’s 4X, not 4K. SUHD: This is not a resolution, but Samsung’s marketing terminology for UHD TVs that utilize color-enhancing quantum-dot technology and some other advanced tweaking features. 5K UHD: Resolution of 5120x2880 pixels. Finally a K that’s accurate—5 times 1024 (a true kilobyte which is where the K stems from). 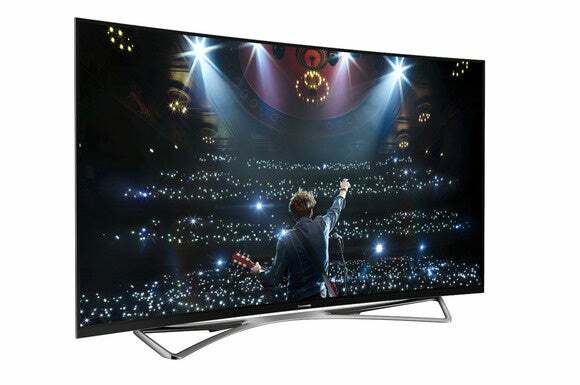 UHD+ 5K computer displays are shipping, but we haven’t seen a UHD+ 5K TV yet. FUHD 8K (Full UHD): Resolution of 7680x4320 pixels. These displays are already in the works; but as with 4K, the horizontal resolution isn't really 8K (8192 pixels). Aspect ratio: The number of horizontal pixels (or rows) for every vertical pixel (or column). This is generally described as a whole number ratio (16:9 for 1920 by 1080, 16:10 for 1920 by 1200, etc. ), but it can also be expressed in decimal form as as 1.77 (16:9) or 1.6 (16:10). Nearly all modern TVs have an aspect ratio of 16:9, which is the standard used by nearly every type of media content from DVD on up. 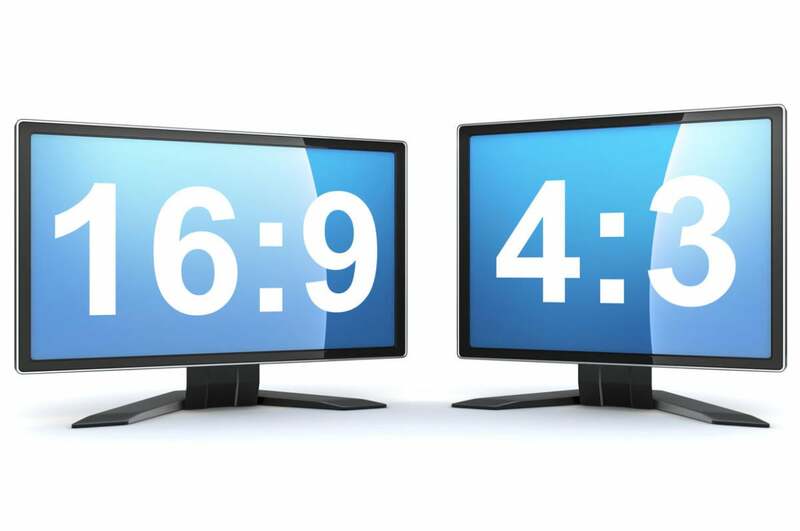 Nearly all modern TVs have aspect ratios of 16:9, the squarer 4:3 aspect ratio having fallen out of favor. Interlaced (i): Short for interlaced scanning; i.e., refreshing the even-numbered rows of pixels in one cycle, and then refreshing the odd-numbered rows in the next cycle. As it take two cycles to refresh the entire display, a stated refresh rate of 60Hz might effectively be only 30Hz. Interlaced displays are largely extinct. Progressive (p): Short for progressive scanning, which means all the rows of pixels are refreshed every cycle. Here again, cycles are stated as refresh rates: 60Hz, 120Hz, and so on. Refresh rate, scanning rate, or vertical frequency: The number of times per second a display is redrawn. 60Hz means 60 times (cycles) per second, 120Hz means 120 times per second. That’s as fast as they go in consumer TVs (there are some 144Hz computer monitors, but that's beyond the scope of this story. You can forget about any higher rates associated with marketing jargon such as Effective Frame Rate, Motion Rate, et al. These do represent vendors' efforts to smooth action and de-blur the picture; but in terms of hardware, they're cow-pucky. Note that some vendors make you dig quite deep to find the true hardware refresh rate. A display that can refresh at 120Hz can legitimately reduce motion blur. Response Time: This would more accurately be called refresh time as it’s a measure of how long it takes for your display to redraw itself. Good luck finding response time listed in TV specifications, but if you don’t see motion blur, it’s quick enough. Probably less than 12 milliseconds for a 60Hz TV, less than 8ms for a 120Hz TV, and hopefully faster than that. Don't confuse Samsung's Clear Motion Rate with an actual refresh rate, it's a marketing term that incorporates three aspects of Samsung's TVs. AquoMotion, Clear Motion Rate, MotionFlow, TruMotion, et al: Most modern TVs have a feature that creates interpolated frames (a mix of one frame and the next) and inserts them in between the real frames to smooth motion. This is possible because most video material plays at 24fps or 30fps while the TVs are redrawing either 60 or 120 times per second. While interpolation makes for smoother-appearing action scenes, it comes at the expense of sharpness and detail as the process is somewhat inaccurate. What you should know about these terms, which often include a number, is that they are absolutely not true hardware refresh rates. As explained above, all TVs refresh at 60Hz or 120Hz, and either rate is more than adequate to the task of displaying 30fps video. We'll cover display technologies in our next installment.